This osprey family nests on a platform on the Patuxent River in beautiful Southern Maryland. I find myself visiting frequently, just to see what they are up to. Three (3) chicks were born but with today’s visit I only spotted 1. I’m not sure where the other 2 chicks were — I doubt if they left the nest yet because that’s usually 8 to 10 weeks after their first flight. So… I’ll be back looking for them. So… How can you tell the difference between the males and females? The females are often larger than the males. Females have wingspans almost five feet, and weigh up to four pounds; males weigh about two pounds. They have a characteristic black stripe through the eye and have charcoal and white feathers. In Oriental, it’s all about the water. And during the first weekend in July, Oriental celebrates its favorite saltwater fish, the croaker. 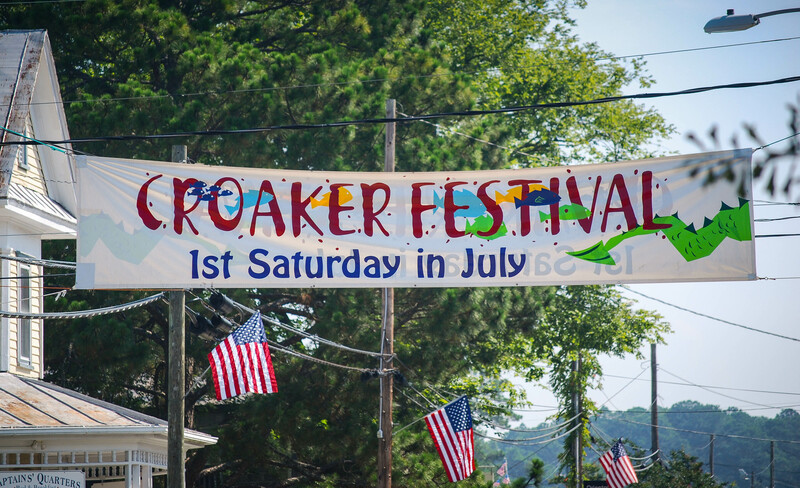 The annual Croaker Festival is a weekend-long old-fashioned Independence Day celebration: regattas, pageants, bake-offs, street dancing, fireworks, and vendors selling lemonade, deep fried twinkles, funnel cakes and a variety of local foods. The whole weekend is sweet nostalgia; a lovely memory of days gone by. 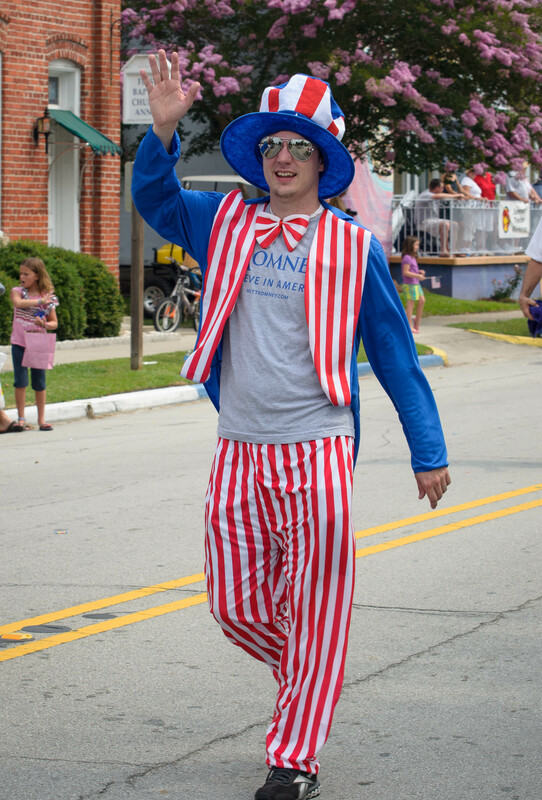 The highlight— the Saturday morning Croaker Festival parade. 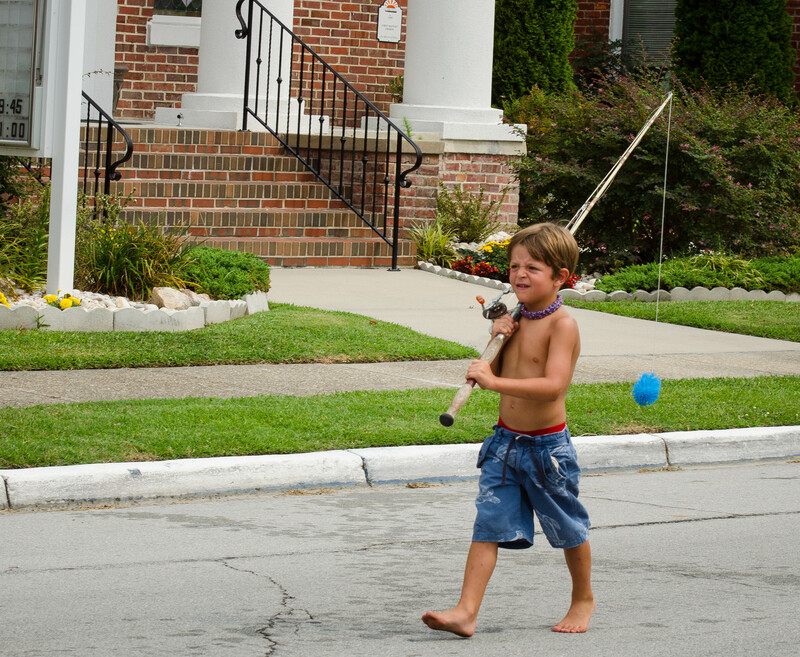 Highway 55, the only road into the town, is closed through the small village while crowds line the street waving American flags, riders on the floats toss out candy along the route, and you can still find Opie on his way to his favorite fishing hole.